D-380 jest cyfrowym odtwarzaczem CD, który może również odtwarzać muzykę za pośrednictwem wyjścia lampy próżniowej i który nosi numer "38" - numer równoznaczny ze złotą erą wzmacniaczy lampowych LUXMAN. 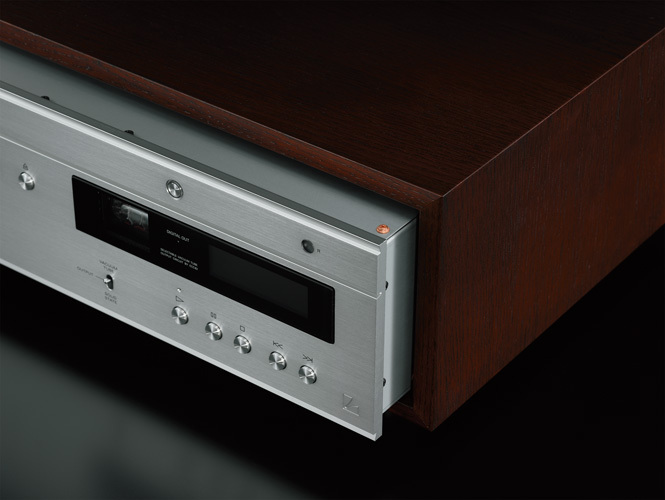 As part of the ‘38’ series, the D-380 CD player is equipped with the function to select the output per musical taste by using a lever switch located on the front panel. 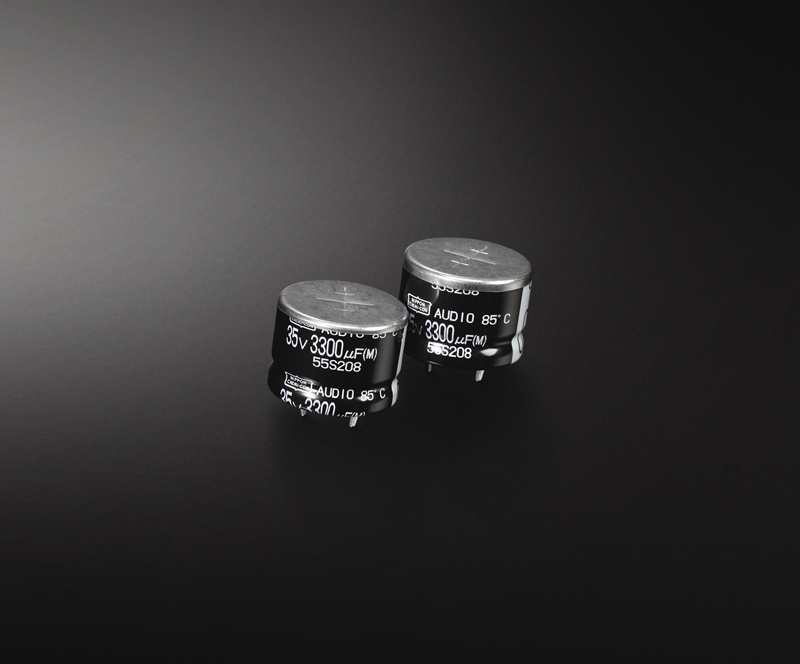 The user can choose between a high purity semiconductor output that connects directly to the DAC chip or a vacuum tube output in which the buffer circuit using the ECC82 vacuum tube is connected to the high sound quality film capacitor and dedicated large output transformer. 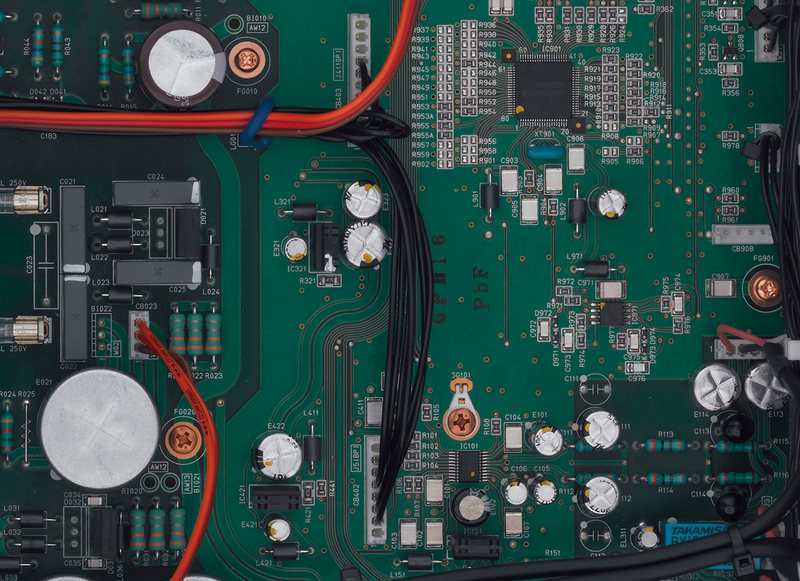 The semiconductor output supports sound with a vivid resolution and high quality source whilst the vacuum tube output brings a rich density and expression to the source with the appropriate addition of harmonic components. This switching of the tonal quality can be done even whilst a CD is playing. When the vacuum tube output is selected, the ECC82 is subtly illuminated, a rich design element that adds to the ambience. The elegant exterior of the D-380 is housed in a full sized wooden box (440mm in width) with a natural veneer finish and a stylish hairlined surface on the front panel. When used together with the similarly housed LUXMAN amplifiers such as the LX-380 vacuum tube integrated amplifier, the effect is pleasing. 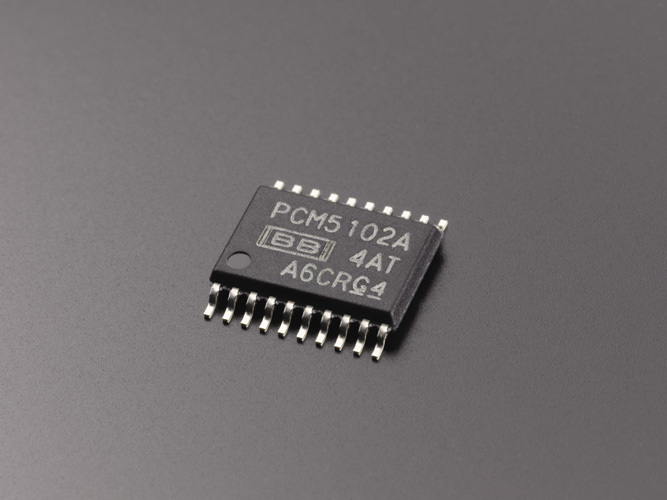 The D-380 is equipped with a Texas Instruments PCM5102A DAC chip that supports 192kHz/32bit processing and incorporates a high-grade buffer amplifier. 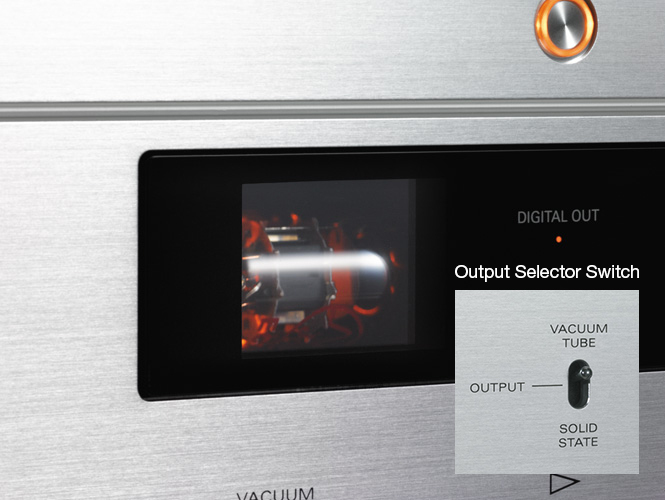 The embedded digital filter allows 2 types of tonal quality to be selected and reproduced without issue by remote control operation. To achieve an accurate playback of the music on a disc, not only does the clock to transfer the data need to be highly accurate, but also fluctuation on the time axis (jitter) needs to be thoroughly eliminated. To realise this, the D-380 is equipped with a dedicated jitter reduction IC to suppress distortion originating from jitter at D/A conversion and achieve the expression of high quality sound. In addition to this, the digital audio can be outputted externally via the coaxial / optical line terminals (output ‘off’ is also selectable by remote control operation). The option of expanding or upgrading the system in the future, such as adding a digital recorder or D/A convertor, is also available. The D-380 features a large, high quality, high visibility FL display with 4x zoom mode – a useful tool for remote operation from a listening position at distance from the system. The orange colour of the display takes into consideration the illumination environment of a listening room, whilst a dimmer (illumination switching) function can turn the display light off completely. 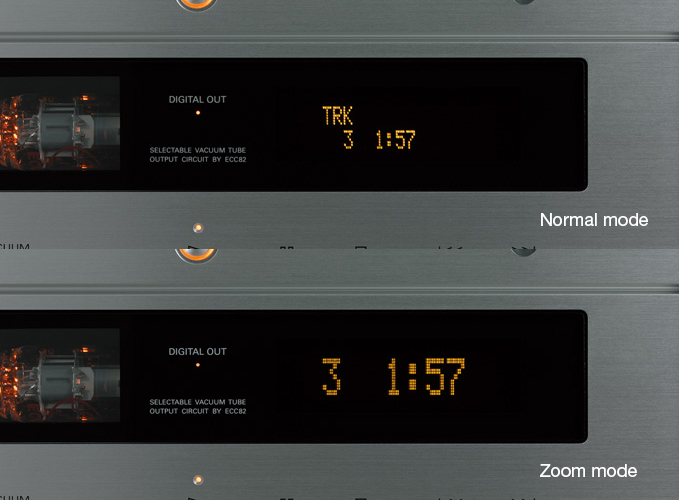 The D-380 features a left sided mechanism layout to accommodate the ideal flow for the sound signal and power supply as proven in the D series of SACD players. 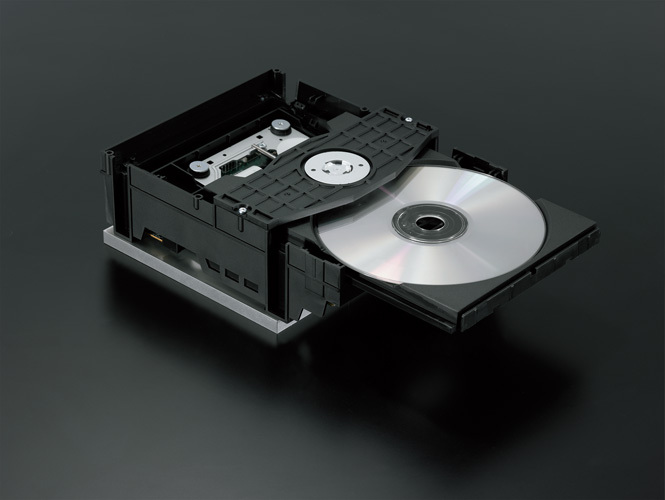 A new mechanical design has resulted in an 8mm thick solid aluminium base with a loopless and shielded box chassis to provide support for the drive mechanism and stability in reading the digital signal. 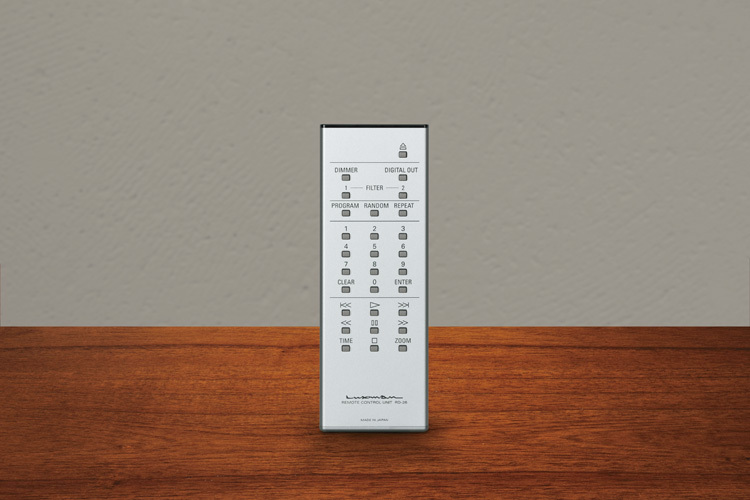 A stylish aluminium remote control is supplied with the D-380 enabling comfortable operation of the system from any listening position. The remote control allows the user to perform necessary functions such as the choice of various playback options, The articulator mode is also available by holding down the CLEAR botton to refresh the sound quality by demagnetizing the output transformer ofthe vacuum tube circuit. The D-380 has been designed to be durable with sufficient margin built in for the operating voltage and the heat radiation of the vacuum tube.